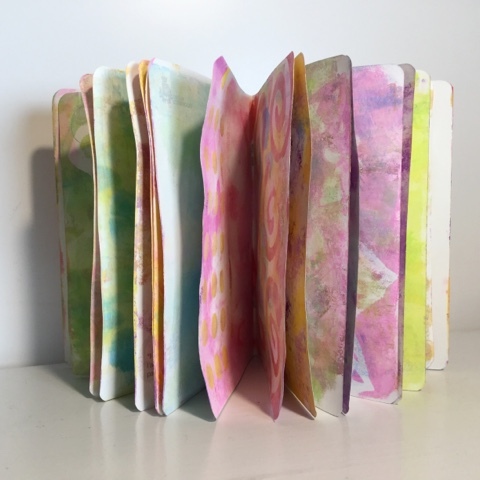 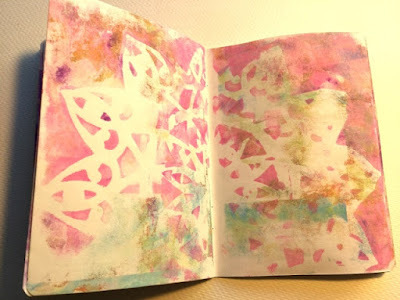 The Paperartsy challenge for thee pat 3 weeks has been asking for masks. After wondering how I could find time to do something for the challenge, I realized that I actually have this WIP notebook. 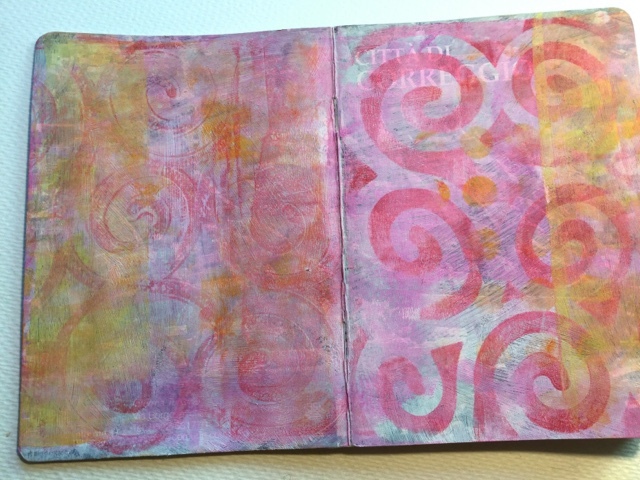 It's small, about A5, and I gelliprinted all the pages before starting to doodle. 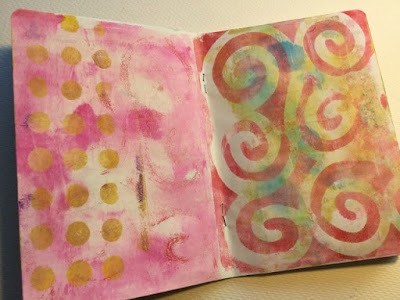 I used acrylic paints and a few masks (swirls, a doily and some blobs on sticks) and a dot stencil. 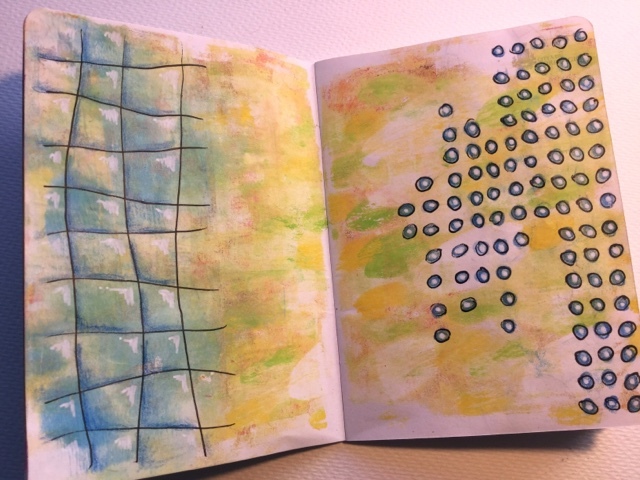 My idea is to use this notebook for doodles. I started Rae Missigmans Art marks-challenge. It's long past, and I haven't done all thirty of the marks, but I'll continue filling in the pages (and perhaps later find out what more I want to do with them. 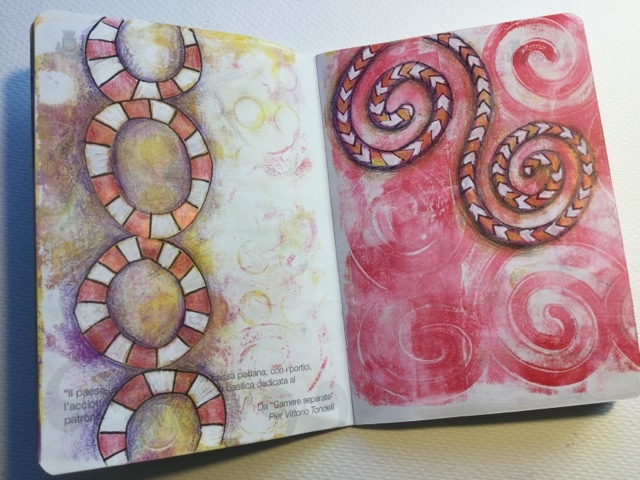 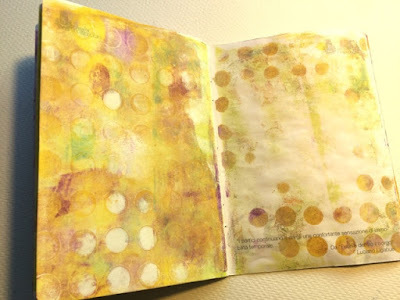 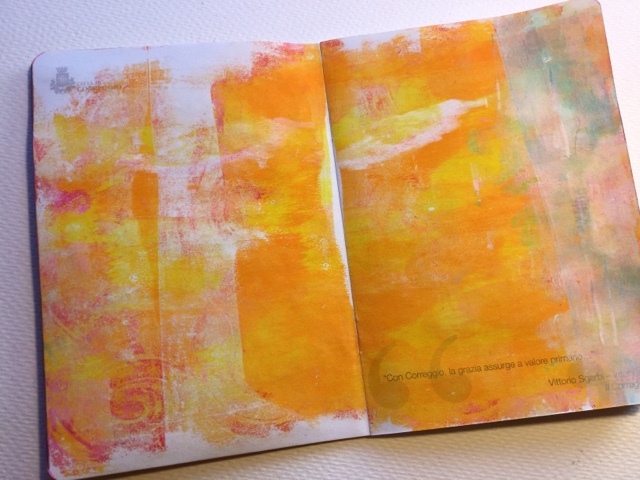 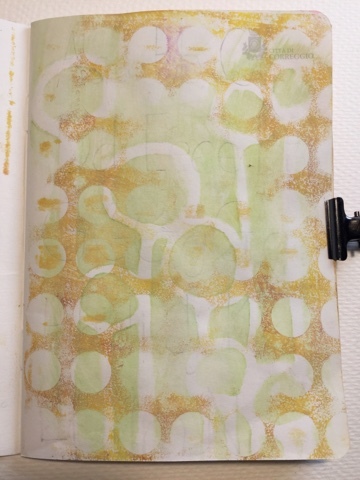 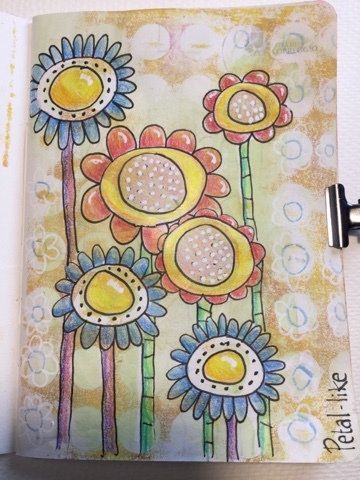 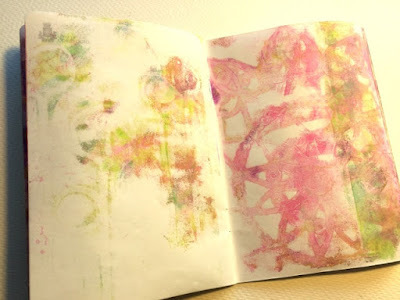 The gelli-printing gives a nice tarting point, I'd feel quite intimidated with the blank page, since doodling is out of my comfort zone.